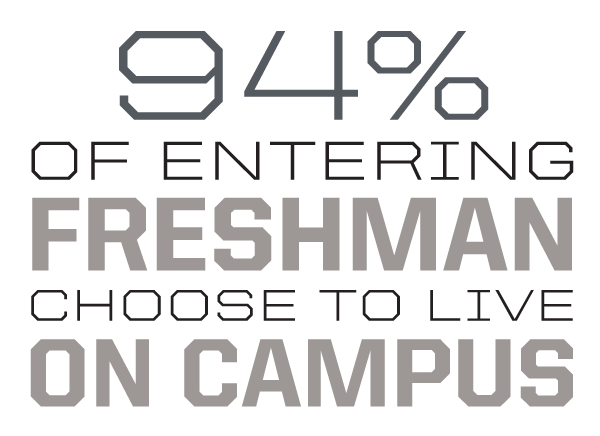 New freshmen who are admitted for fall are guaranteed on-campus housing in University Residences if they submit a contract by May 5. If space remains available after this date, the housing contract will re-open later in May. The housing contract is accessible via the student's online myPurdue portal about two days after accepting his/her offer of admission. Residence building assignments are communicated in mid-July. The housing contract is binding if students enroll at Purdue. Information about on-campus housing for students who will enroll at Purdue during the spring or summer terms is available on the University Residences website.